I am not one for most pasta salads and the like, namely because they are generally coated in something processed and creamy, have soggy noodles, and taste only like raw red onions (because that’s mostly what they consist of). Yes, my opinion of pasta salads is extraordinarily negative, but I have had very few positive experiences. What’s frustrating though, is that pasta salad has so much potential–pastas, sauces, marinades, dressings, veggies, cheeses, nuts, and so much more. 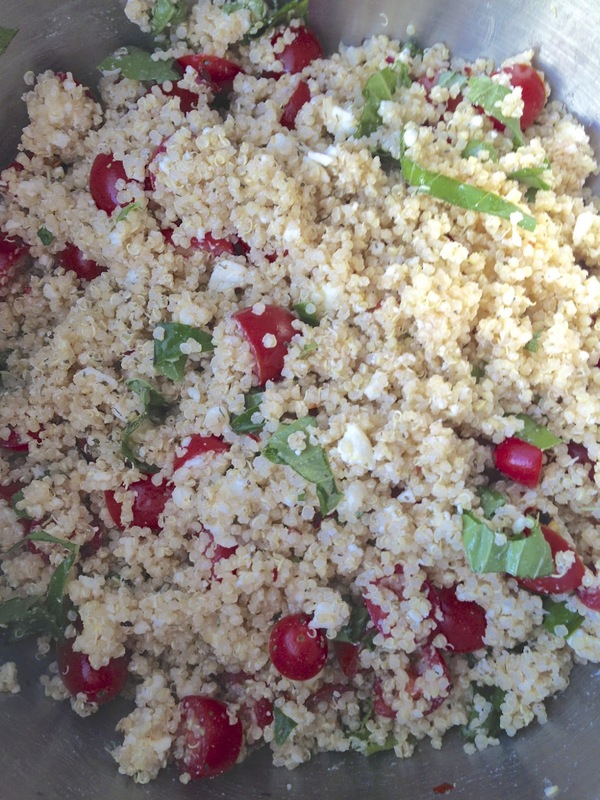 Pasta salad doesn’t have to be terrible…which is precisely why I made this zesty quinoa salad. 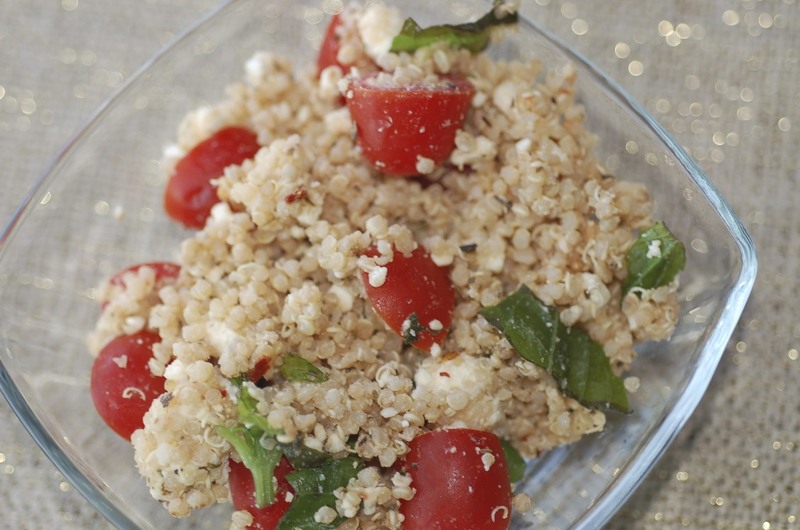 Crunchy but tender quinoa, basil, tomatoes, feta, and a hint of lemon. That’s all one needs to make a great pasta salad. It was incredibly fresh, tasty, and the perfect complement to a gorgeous summertime BBQ. What I loved most about this salad was its versatility. I could have added more or less of every ingredient (which I didn’t bother to measure in the first place) and also could have added other ingredients too, like pine nuts or walnuts, turkey pepperoni, sugar snap peas, and/or so much more. The options are endless. This salad is what pasta salad should be. Fresh, flavorful, and light. Try all of your different variations and let me know how they go–I am excited to expand my pasta salad palette. Use the quantity of each ingredient to meet your taste. You can’t go wrong, I promise. Cook your quinoa according to the package directions. Do not over cook. 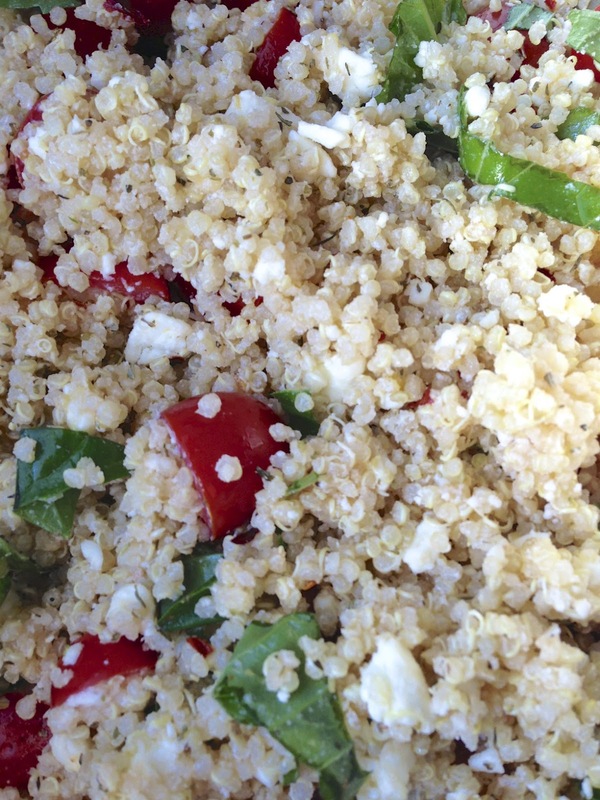 Let the quinoa cool until room temperature. Lightly coat with basil olive oil. Add the tomatoes, basil, and feta. Mix well. Sprinkle with sea salt, fresh ground pepper, and crushed red pepper flakes. Mix again. Serve with your favorite BBQ meats and beverages.